Just like the name of the subspecies suggested, they can be found in Orinoco Basin, Madeira River of Bolivia and Amazon Basin. 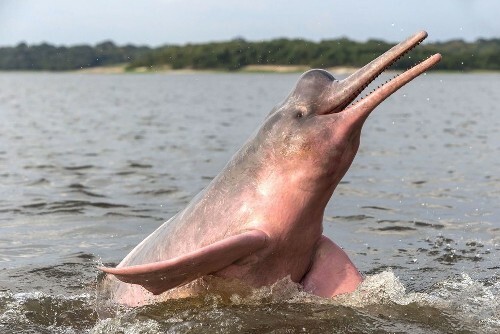 Pink river dolphin or Amazon River dolphin is considered as the largest one of the three subspecies. The length of the adult male pink river dolphin reaches 8.2 feet or 2.5 metres. The weight reaches 408 lb or 185 kg. Check facts about dolphin here. 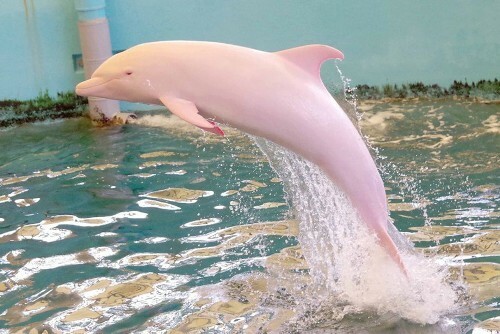 Pink river dolphin has the prominent pink color when it reaches adulthood. The pink color is bolder in males than in females. It is very easy to differentiate the male and female pink river dolphins. The males have 55 percent more weight and 16 percent longer body than the female counterparts do. There is a prominent organ owned by pink river dolphins. It is called a melon, which is also owned by other toothed whales. Do you know the function of the organ? The melon is for bio sonar. Pink river dolphin has large pectoral fins and short dorsal fin. The maneuverability of pink river dolphin is impressive due to the relative fin size. It is easier for them to capture the prey and navigate the river forest. The diet of pink river dolphin is diverse. There are 53 distinctive types of fish that they consume such as piranhas, tetras and catfish. The major threats for pink river dolphin are hunting and loss of habitat. The female pink river dolphin has the weight around 100 kg or 330 lb and length of 2.15 m or 7.1 feet. Look at facts about bottlenose dolphins here. 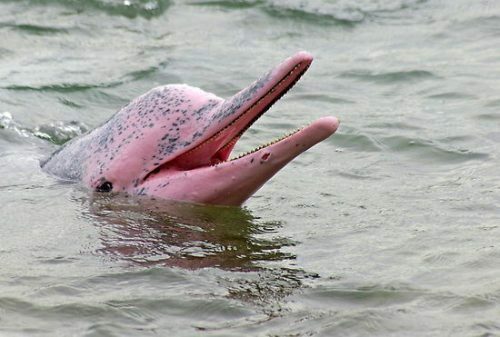 Are you interested reading facts about the pink river dolphin?